Lisa Jewell is a brilliant storyteller, creating suspenseful plots with complex characters and compelling stories. She keeps getting better and hits a new high with new novel, I FOUND YOU (Atria). Present day: Alice Lake is a lonely single mother in England, who finds a man with amnesia outside her beach house. He doesn’t have any identification or idea of why he’s there. She does what one is never supposed do, invite him inside her home. In London, Ukrainian bride, twenty-one year-old, Lily Monrose’s new husband has gone missing and she’s left stranded. She turns to police for help only to learn “Carl Monrose” has never existed. Twenty-three years earlier: Gray and Kirsty are teenagers on holiday with their parents. Their seaside vacation is uneventful until a young man shows up and proceeds to show too much attention to Kirsty. It makes Gray more uncomfortable that just being an overly protective brother. Two decades of secrets, a young bride and a man with amnesia are at the heart of I FOUND YOU. In addition to Jewell’s lovely prose, steady pacing and interesting characters keep readers engrossed, while the tension gradually builds to a satisfying conclusion. I FOUND YOU is a beach read with a murky film over it. You can’t help but feel as if something sinister is going to happen on the next page, or perhaps, the next sentence. I’m already looking forward to Lisa Jewell’s next novel. 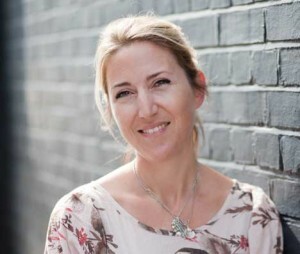 Lisa Jewell was born and raised in north London, where she lives with her husband and two daughters. She is the New York Times, Wall Street Journal, and USA TODAY bestselling author of twelve novels, including The House We Grew Up In and The Third Wife. Thanks to Atria and TLC Book Tours, www.tlcbooktours.com we have one copy of Lisa Jewell’s, I FOUND YOU to giveaway. Just tell us which of her fourteen novels, including I FOUND YOU, is your favorite. We’ll announce a winner Monday. Good luck. Girls in the Garden, I have three of hers in my TBR to read as well. I’ve never read a Lisa Jewell but this one is high on my list to-read! Hope to win a copy! I have not yet had the pleasure of reading this author. This sounds great and thank you for the chance. I have never read any of her novels. If it wasn’t for these tours I feel I would have missed so many authors. Thanks for the review, I would like to read this novel very much. She is new to me but I’d certainly love a chance to read something by her! The Third Wife is a good one! Thanks Cindy. I have not read a book her I checked my steno pad of authors i have read but I would love to read this one and review on a few sites as it sounds so good. I have not read any of her books. This could be the start of something . Thanks for the chance. I haven’t read any of her books yet but this sounds very good. Thank you for this chance at winning. I would love to try out something from an author I haven’t read before. Loved Before I Met You and also The Third Wife. The Third Wife was wonderful! Great review, Cindy! This would be a new author for me, I hope I win! I have not read any from this author. Thank you for the chance at finding a new book love. I have not read any of Lisa’s books. She is a new author to me and I would enjoy reading her book. I’ve got 2 saved on my Nook that I haven’t read yet! I’ve heard great things about her new one. I can’t wait to read it. I haven’t read anything from Lisa yet but will definitely be putting some on my tbr list. They all look good and I love finding new authors to read. The Girls in the garden was captivating. The Girls in the Garden had me turning the pages. Incredible story. Lisa Jewel is a “jewel” of an author. I haven’t read Lisa Jewel before. That is why I want to win this book. Could I be a new reader of her books? My favorite was The House we Grew up In. Thanks for the review! Never read a Lisa Jewell book but she is now on my radar and will get to it! Ooh, this one sounds good. Intricate with a lot of secrets. Putting on my TBR right now. Thanks for pointing it out for me! “a beach read with a murky film over it” ooh that description is just creepy enough to send a shudder down my spine. Not scary, just … a bit “off”. Very intriguing!